Taking a break after ash has welcomed a beautiful baby to the world! Ashleigh grew up on a farm 85km north-west of Goondiwindi and now lives on a property with her husband 40km west of Talwood. Ashleigh started her business, Ashleigh's Health & Fitness, in 2017 in an attempt to help others. Ashleigh believes that there are many different and equally important reasons to exercise, such as; everyday functional movement, physical health and mental health. Ashleigh also believes that pushing yourself physically can help build resilience, improve self control, and help you to perform better when faced with challenges and stress. Ashleigh is passionate about fitness and healthy eating becoming a 'lifestyle' rather than a diet or exercise program. She is determined to make it welcoming and fun for all ages and fitness levels. 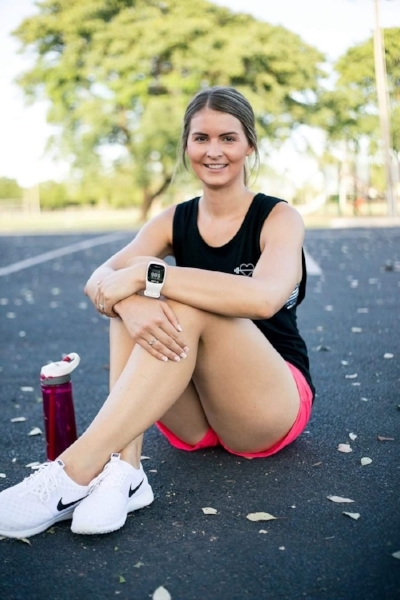 Ashleigh has completed her cert III and IV in fitness with the Australian Institute of Fitness.